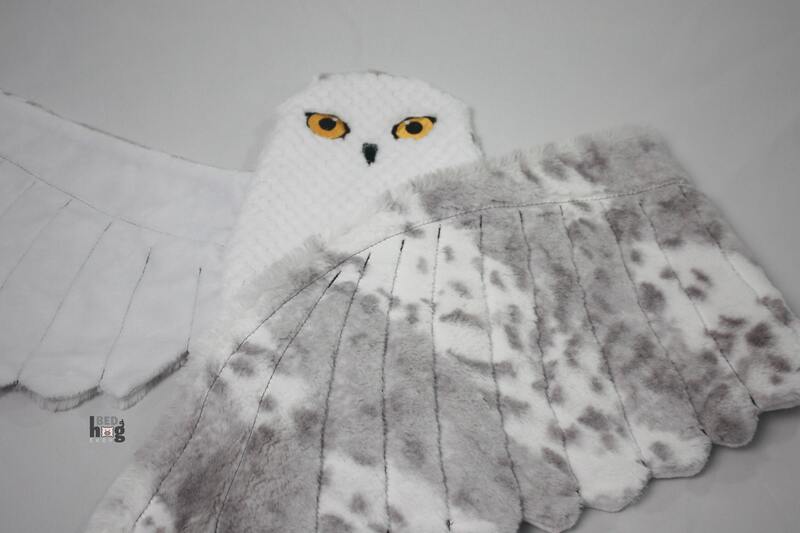 She will provide you with snuggling, as well as loyal companionship. 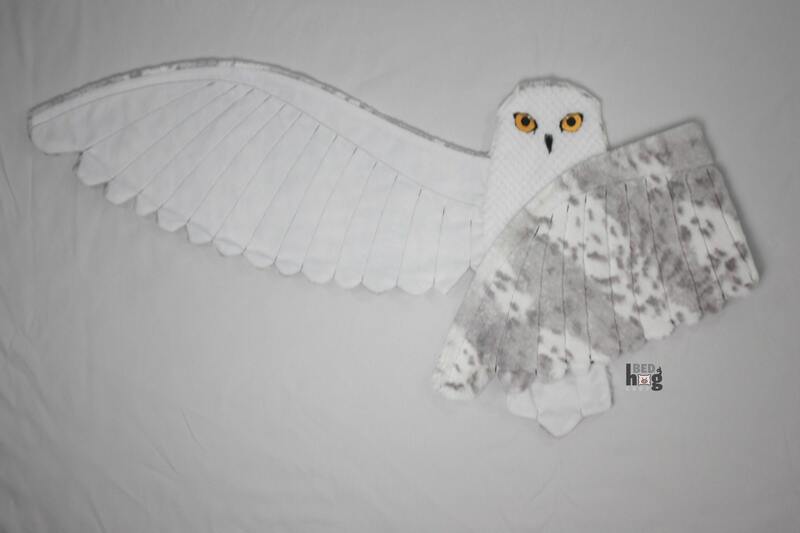 This blanket can be your beloved snowy owl! 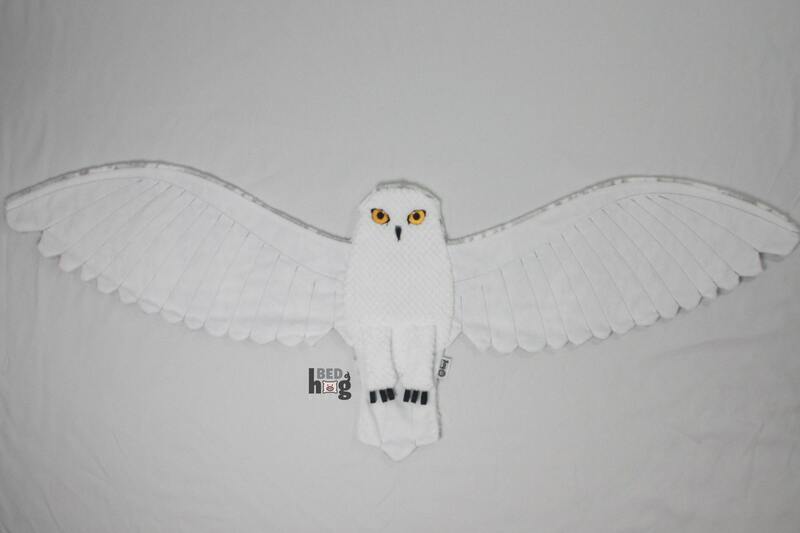 From head to tail, she measures 20" with a grand wingspan of 60", perfect for snuggling baby! 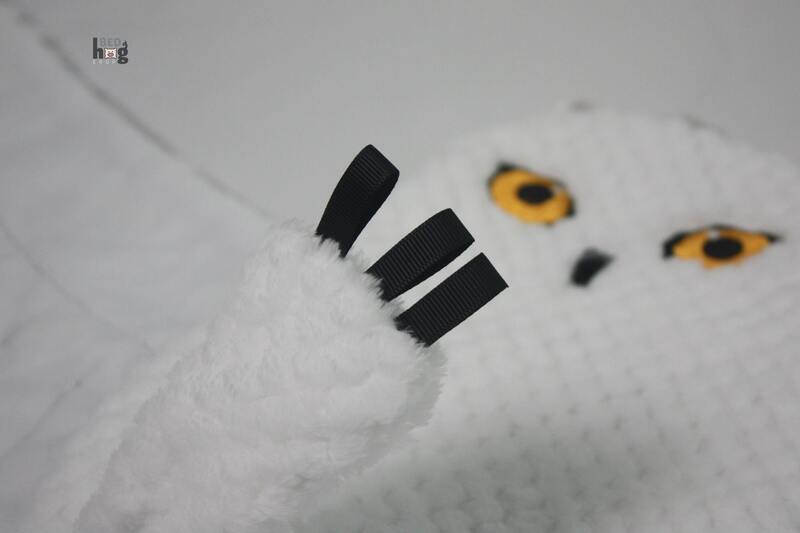 The legs are free moving from the body with three black grosgrain ribbon tags per leg for claws and an embroidered face. 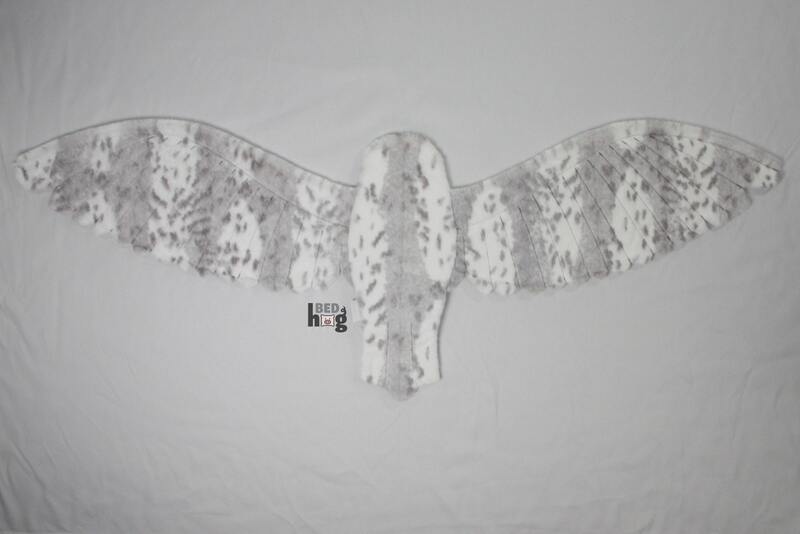 The underside of the wings are a velvety soft white minky. 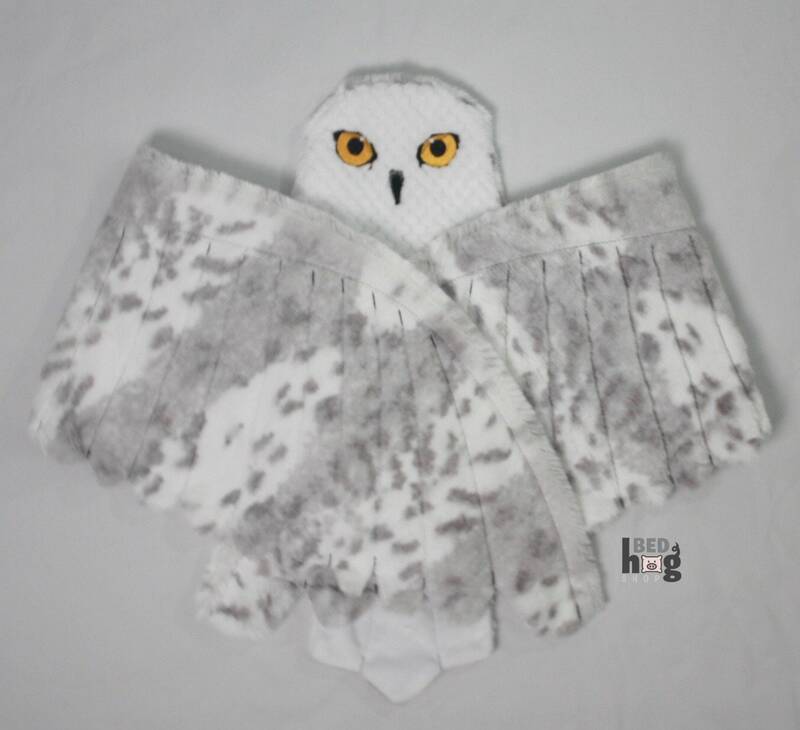 The backside of the wings and body are a silver and white minky faux fur with a white super snuggly spa-like body. 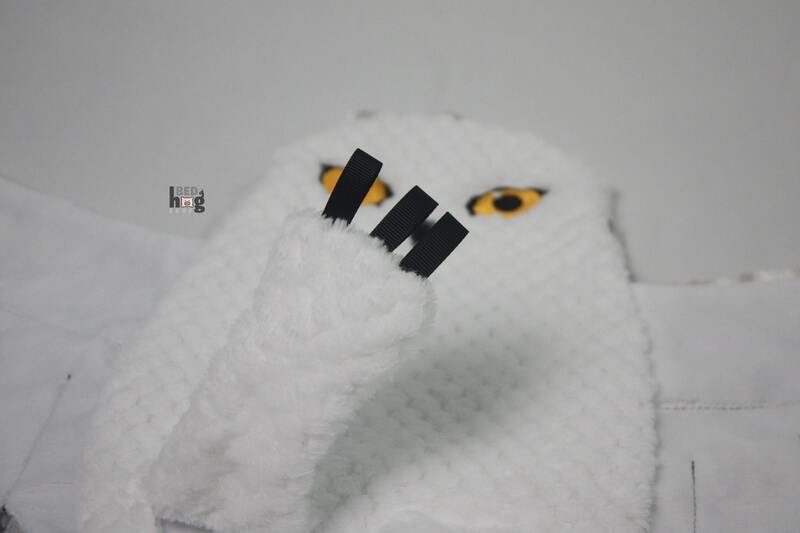 PLEASE allow 3-4 weeks production time prior to shipping. 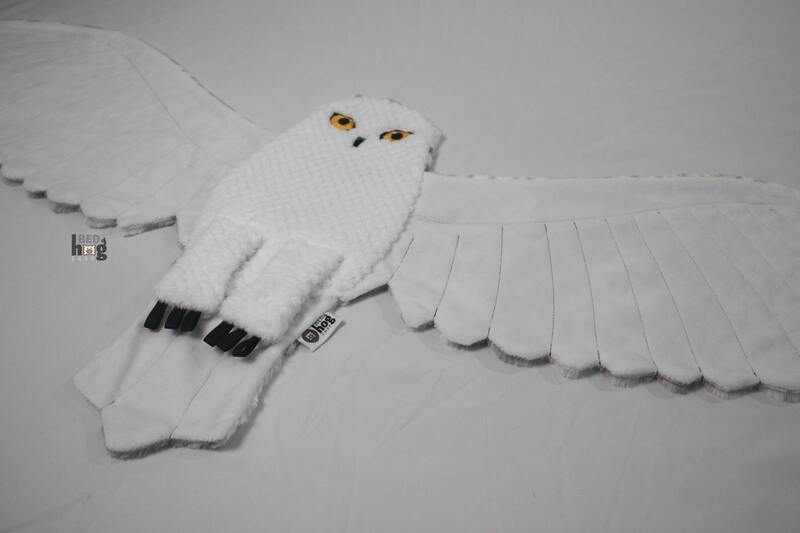 Such marvelous detail on luxuriously soft fabric. 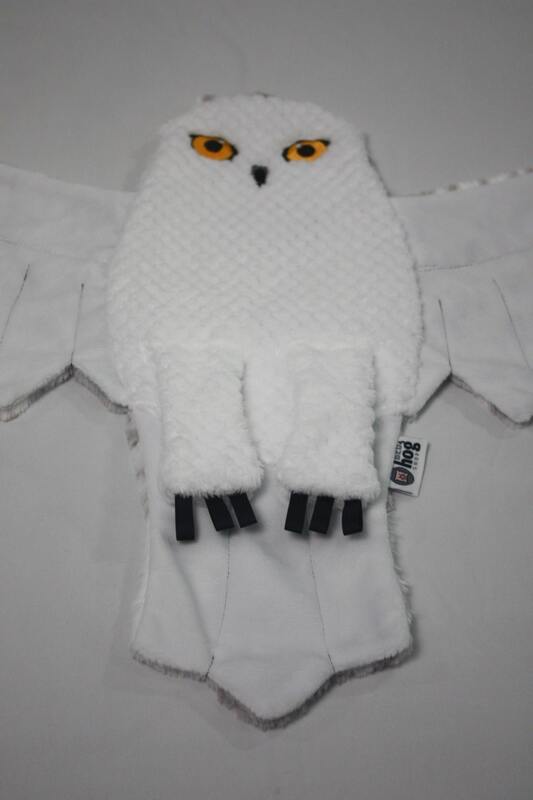 It's a Christmas present for my 2-year-old son, but I know he's going to adore it. Thank you so much!! Gorgeous! Can not wait to give as a Christmas gift!